The Pequot Cyclists Club is a non-profit, all-volunteer bicycling club centered in southeastern Connecticut (New London County). 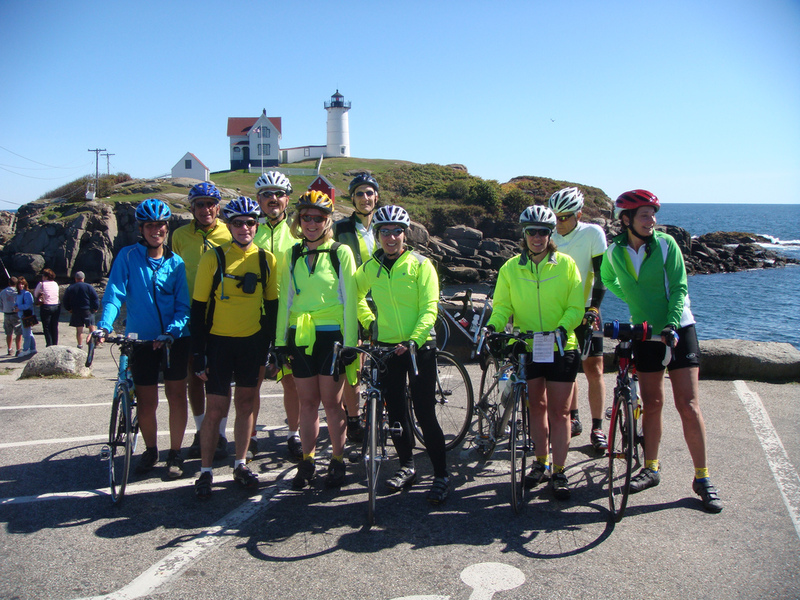 The Pequot Cyclists inspire a healthy lifestyle through weekly bicycle rides and off season outdoor activities. We build a bicycling community through fitness and social activities where new members are welcomed and friendships formed. Our newsletter (see news page) and website provide a ride calendar with articles and news about cycling of interest to our membership. Pequot Cyclists Survey Results 2018 Thank you! Your time will help the club. We invite you to ride with us to see if we meet your cycling needs. Rides are open to anyone with a bicycle and wearing a helmet. Minors must be accompanied by an adult. The club is now on Facebook as well! Head over and like us there! Join the Club on Strava! The greatest cycling app of all! For desktop, smartphones, and Garmin devices. For more information, contact one of the Club Officers. Meetings are held the first Tuesday of each month in a meeting room of the East Lyme Public Library. We begin at 7:00 PM and the meeting is open to the public.